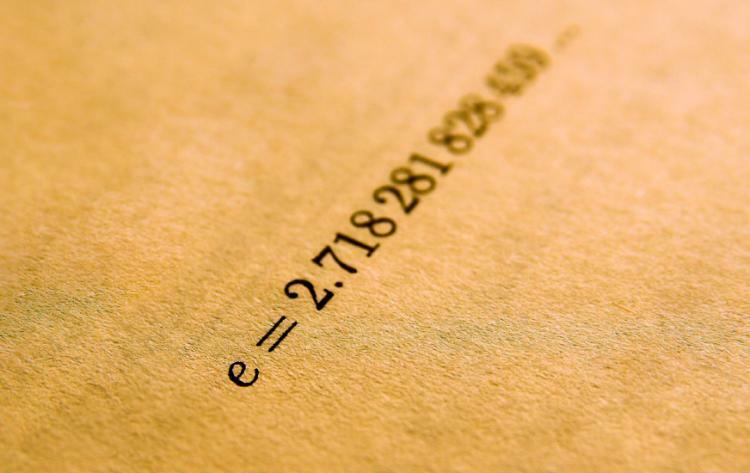 e-Day celebrates the mathematical constant e, which has a value of 2.7182818. It is celebrated on February 7 in countries that follow the month/day (m/d) date format. This is because the first two digits of the date - 2/7 - correspond to the first two digits of the constant. Euler's number is commonly celebrated on February 7. People living in countries that follow the day/month (d/m) format celebrate it on January 27. The first three digits of this date - 27/1 - match up with the first three digits of e (2.71). Also known Euler’s number, after the Swiss mathematician Leonhard Euler, e is an irrational number that represents the idea that all continually growing systems are a scaled version of a common rate. It is mostly used in logarithms, exponential growth, and complex numbers. It is one of the most important numbers in mathematics, including 0, 1 and pi (π). e is also sometimes called the Napier's Constant and is often incorrectly referred to Euler's Constant. Euler's Constant is denoted by lower case gamma (γ) and has a value of 0.57721. Many European countries celebrate Euro Day, sometimes also called e Day. The day is observed on January 1 and celebrates the anniversary of the adoption of the Euro, Europe's common currency in 2002. In New Zealand, eDay is a day where people can get rid of e-waste or old electronics such as computers and old appliances so they can be recycled rather than being placed in a landfill. Engineer’s Day is observed in Paducah, Kentucky on February 21, where many people participate in an egg drop contest, create edible cars, and tape people to walls. The year is full of mathematical and scientific holidays. Some of these include: Yellow Pig Day, Mole Day, Fibonacci Day, Palindrome Day, and Pi-Day. Use our Date Pattern Calculator to find out other interesting calendar dates during the year. Celebrate this fun mathematical holiday by learning more about Euler's number and its importance in mathematics and science. Eat foods that begin with e - make eggs, eggplant, or eclairs. Make eggnog as a before dinner refreshment or eggs benedict for breakfast. ...that there is an island in northern Scotland called Eday? Celebrate this sweet holiday with a huge fondue pot full of delicious and gooey melted chocolate. Don’t forget to share with family and friends! Lame Duck Day celebrates and honors all those who are on their way out from a job. Send a note to a friend to say hello. Laugh and Get Rich Day encourages people to look at the lighter side of life and enjoy life while making money.